As a wedding photographer, you tend to get asked from your couples for tips on taking the best wedding photos. While many photographers have a different style, the best wedding photographers in the USA all agree on a few simple tips to look for before to get the best wedding photos. We’re happy to share 6 tips from the best wedding photographers to help you get the most out of your vendors, what to expect, and how to plan for the day. 1. The first step to getting the best wedding photos? Selecting the right photographer. Not every photographer is for everyone. There are photographers that have a more dreamy, dulled down-style, some that shoot better outdoors, some that shoot better indoors, film, and more. There are certainly many options for photographers, based on your style. So the first step is selecting the photographer that matches your style. Need help defining your style? Just spend a few hours on Pinterest, pick out the best wedding photos in your opinion and pay attention to the style. Are you picking photos that are more black and white? Photojournalistic? Candid? Boho? As your collection of pinned wedding photos grow, your style will be easier to understand. Pick a photographer that shoots images that you love. 2. The best wedding photographers are only the best if you like them!! The best wedding photographers in the USA became that way by being nice and working hard, so chances are you’ll like them. Be sure to talk to them on the phone, over Facetime, or in person, and ask them if they’ve encountered challenging situations and how they handled them. Having the best wedding photos possible is about feeling comfortable while you’re shooting them. Being comfortable while you’re shooting them means you like the person shooting them – so be sure you jive. Your wedding day team matters! Having the best wedding photographer doesn’t matter if you don’t’ get any time with them. Hiring a great coordinator, florist, and venue will all help your day run as smoothly as it can. The best wedding photographers, planners and florists book up quickly, so it’s important that you book early. Most photographers book out a year in advance or more. Closer to your deadline than that? No need to fret, there are plenty of vendors that will travel around the country for your wedding. Look into destination vendors, bringing in a photographer or planner from another state won’t typically cost much more (if any) than a local vendor, and sometimes with better results! Vendors also flock together, so be sure to ask for recommendations. The best wedding photographers like to work with the best wedding planners.. and when vendors create and collaborate together, the results can be amazing. Hire quality vendors and you’ll both be smiling all day. 4. Get to Know Your Angles! Understanding yourself doesn’t come easily to most couples. Many of the couples we photograph have never taken professional photos together. Getting to know your angles is the smartest way to get the best wedding photos, but also understanding how you photograph with your partner is crucial. Knowing how to pose is something that just takes practice.. but try going through your older instagram photos or selfies together. Which side of the camera do you normally like facing? Do you have angles you like that you’re consistently photographing yourself from? How do you hold the camera? These questions are all important considerations when getting ready for the big day. The best wedding photographer in the country offers help on this. “Turn toward the center of the frame. Don’t drop your chin. Relax your shoulders. Bend one knee, and hold the bouquet at your hips. Breathe! Got all that! You’ll look gorge” says Jose Villa. Elizabeth Messina says “The best photos look natural, so don’t overthink.” Working on your poses and angles is a big help, many photographers offer a complimentary engagement session to help understand these and shoot with the photographer before the big day. Know your angles – photographing well is about knowing yourself. Be sure to allot for enough time on the wedding day. Keep in mind that time for photos needs to include time for all photos. 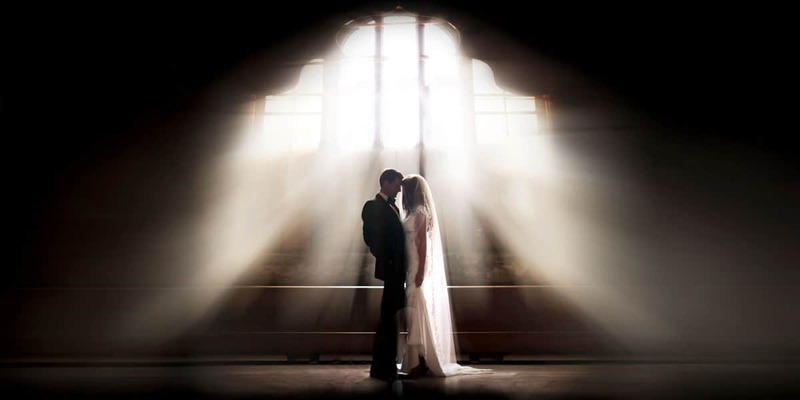 “There should be an estimated start and end time for hair, makeup, reception setup, etc. Within that timeline should include all your photo sessions such as the first look, bridal party photos, and couple’s session” say Lin and Jirsa, a Los Angeles-based wedding photographer. Typically the bridal party photos last about 30 minutes, and the family are another 30 more. To make sure that the couple also gets some amazing photos, a first look is recommended. Lin and Jirsa add “one of the most memorable events of a wedding day is when the bride and groom see each other.” And it allows more time for photos. Some couples don’t want to do a first look, and that’s totally fine! All the best wedding photographers in the USA have shot couples that prefer to wait to see each other till they walk down the aisle, and will have plenty of experience either way. Remember, it’s your wedding day, not the photographer’s photo shoot. The big day is finally here, be sure to relax and enjoy it. One of the most common things I hear from my couples when they see their wedding photos is “I don’t remember that!” The day will go by in a blur! Photographers are great at capturing the day, but the best wedding photographers in the USA will capture it to match your style, personality, and dream. Capturing hundreds of photos from your day will bring back great memories, so make sure those memories are great. Try to take breaks throughout the day to truly take in what’s going on. All the vendors, friends, family and loved ones are there for you, be sure to celebrate with them. Let your vendors do their job by not micro-managing. You’re paying them good money – let them do what they do! Be sure to take a quiet moment to enjoy your wedding day. Want to see more great images like this one? Be sure to visit our gallery for more!